This assignment sale of Design Haus (1 Bed & 1+Den) at College & Spadina is located at 233 College St, M5T 1R4. It is developed by Shiu Pong and designed by Kirkor Architect Planners. It is 17 storeys high and this 1 bedroom assignment is 483+(71 sq.ft Balcony). The 1+ Den suite is 518 sq.ft. The estimated occupancy is December, 2019. The 1 Bed unit is $539,900 & $579,900 for the 1+Den suite. Features include outdoor podium terrace with barbeque, custom designed kitchen cabinetry in a variety of finishes, and boutique suites overlooking city skyline. The amenities include barbeques, Fitness, Lounge, Party Room, Security, Terrace, Offsite security monitoring 24/7, Fitness centre with yoga and aerobics area. For more information, visit DesignHaus.KenYeung.ca or contact VVIP Platinum broker Ken Yeung from Century 21 Kennect Realty Inc.@416-618-9890! 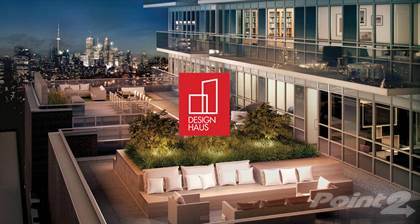 Hi, I'd like to find out more information about Assignment - Design Haus Condo (1 Bed & 1+Den) at College & Spadina. Thanks so much!